How Can an Aging Life or Geriatric Care Manager Help This Thanksgiving? Many long distance adult children will arrange for their parents to join them for Thanksgiving then panic at how Mom and Dad are deteriorating. 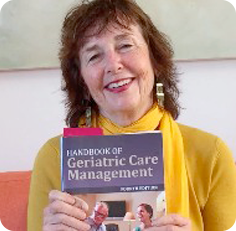 Aging life or geriatric care manager can help in many ways. Arranging regular visit from religious groups if appropriate. Telephoning or emailing the adult children as needed and sending a monthly report too long-distance family. Arranging services from the community such as adult day care or meals-on-wheels. Accompany older person to all medical appointments and going in with the client to see the physician. If there is a medical emergency and the client is hospitalized going to the hospital with the client and monitor until the long-distance care provider arrives in town. If you are an aging life or geriatric care manager give frantic adult children hope when they call desperately call this holiday.